Passenger traffic at Singapore Changi Airport grew 1.9% on-year in October 2014, with 4.49 million passengers passing through the airport. 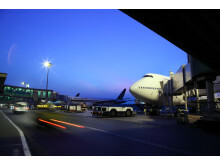 There was a 2.1% increase in airfreight movements, with 159,700 tonnes of cargo handled during the month. Aircraft landings and takeoffs decreased by 3.7% to 28,380. SINGAPORE, 13 November 2014 – A sprinkling of snow; a touch of winter and a dazzle of Disney magic will welcome travellers and visitors this Christmas as Changi Airport transforms into a winter wonderland, bringing yuletide festivities to life. Following the popularity of its annual year-end celebrations, Changi Airport will once again be pulling all stops to bring happiness to its visitors. 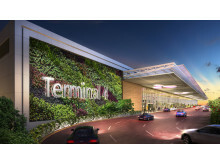 The open-air car park fronting Terminal 1 (T1) will be closed for redevelopment on 12 November 2014 (Wednesday), 2.00am. Until the completion of the redevelopment works in 2018, there will be new ground transport arrangements for T1 passengers and visitors. Passenger traffic at Singapore Changi Airport totalled 4.65 million in August 2014, a slight decline of 0.6% year-on-year. In terms of airfreight movements, Changi Airport handled 156,000 tonnes of cargo, an increase of 4.1% compared to a year ago. Aircraft landings and takeoffs decreased by 4.2% to 28,360. 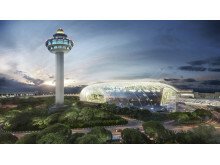 Singapore Changi Airport handled some 4.58 million passenger movements in July 2014, an increase of 1.0% compared to the same period last year, while flight movements dipped 2.6% to 28,200. During the month, cargo tonnage at Changi registered 155,000 tonnes, representing a decline of 2.4% from a year ago. 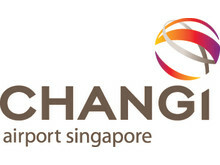 Singapore Changi Airport managed 4.65 million passengers in June 2014, representing the highest number of passenger movements Changi has handled in a month this year. 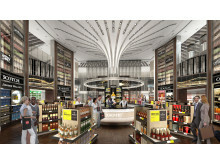 Changi Airport Group (CAG) today issued a foodie alert! Passengers can now partake in Singapore’s national pastime before they fly – feasting on the island’s best-loved hawker cuisine – all in a single stop at the new Singapore Food Street at Changi Airport’s Terminal 3 (T3). 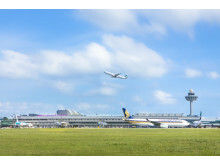 SINGAPORE, 14 July 2014 – Changi Airport Group (CAG) today launched a refreshed Weekend Escapades mobile app jam-packed with brand new travel tips on 52 destinations within a six-hour flight radius of Singapore, where holiday-makers can now look forward to a different getaway every week. Singapore Changi Airport handled 4.37 million passenger movements in May 2014, a growth of 2.0% compared to the same period in 2013. 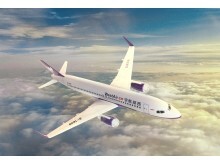 Flight movements increased by 1.7% to 28,930. 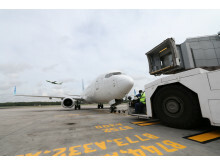 During the month, 157,500 tonnes of airfreight were processed at Changi, a 3.5% increase year-on-year. As football fans around the world gear up in anticipation of the 2014 FIFA World Cup, Changi Airport revels in the football fever with live screening of all World Cup matches from 13 June to 14 July 2014 for its passengers. 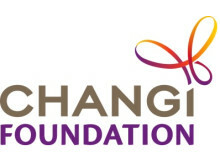 Passengers departing from Changi Airport can look forward to a speedier and more flexible check-in experience as Changi Airport Group commences a phased approach to implementing self-service initiatives in its departure halls. 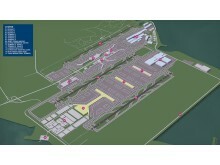 This is part of the Fast and Seamless Travel at Changi (FAST@Changi) programme which CAG plans to roll out progressively at Changi Airport, including in the new Terminal 4.